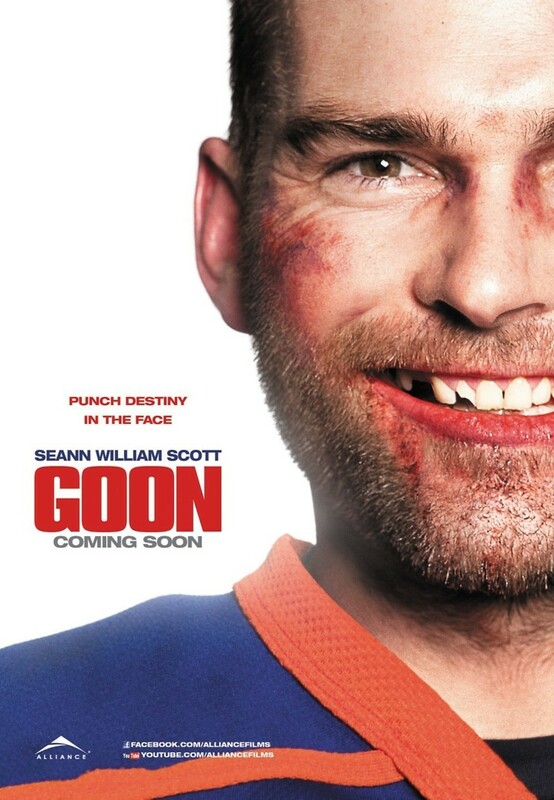 Goon DVD and Blu-ray release date was set for May 29, 2012. Doug Glatt is a bouncer at a local Boston bar. Something of an outcast in his family full of high-achievers, Doug is obsessed with a semi-pro hockey player, Ross "The Boss" Rhea. Doug dreams of the glory of being a hockey goon himself, until one day a chance encounter leads to a fistfight that changes his life. The coach of the Halifax Highlanders witnesses the fight and recruits Doug for the team, much more for his massive size than his skating or hockey skills. Despite the fact that the other players don't like him, Doug quickly becomes a rising star in the league. It isn't long before he gets the chance to square off against Rhea and maybe finally find the true love and happiness he has been searching for.